Well, I've done it. 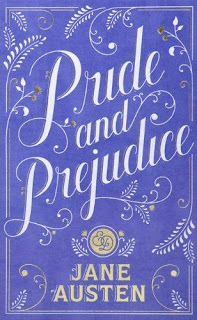 I finally sat down and read a Jane Austen novel. I suppose in literary circles this officially classifies me as either 'woke' or 'woefully behind the times and why haven't you read Emma and Sense and Sensibility yet because Jane Austen is awesome.' But it's done. I read it. And... hoo boy. My initial reaction: "man, dating was complicated back in the day." Lizzy then fends off Mr. Collins and his advances, which actually works out for the best because he seems a lot happier with Charlotte (I'm pretty sure that's who he marries anyway.) Lady Catherine remains forever associated with Maggie Smith in my mind and I read her as such throughout the book. To me things get interesting when Wickham sort of shows up and starts talking smack about Darcy which Elizabeth buys hook, line and sinker and when Lizzy learns that Darcy had broken up Bingley and Jane when he confesses his love for her, she shuts him down hard. The next morning, she gets a long letter from Darcy explaining it all and suddenly she begins to realize that she has misjudged Darcy. A few months later, Lizzy is visiting his estate of Pemberley and continues to learn how she has misjudged Darcy- meeting his sister and learning what a kind and generous man he is- and meeting him there, he invites his Aunt and Uncle to go fishing on the grounds as well. Their happy interlude is broken by the news that younger sister Lydia has eloped with Mr. Wickham. If the book was picking up steam at Wickham's entrance, it takes off like a rocket at this point. Darcy leaves immediately and Lizzy returns home to wait for the news on her sister- whether it's good, bad or utterly disastrous- and she's learning toward utterly disastrous, given the speed of Darcy's departure. As it turns out though, the couple is found, debts are paid and they are properly married- which preserves the families good name and the prospects of everyone else. After the happy couple is married and dispatched to points to the north (sparing everyone the whole 'awkwardness' of their elopement') Bingeley and Darcy show back up at the Bennett house and Bingley proposes to Jane, who accepts and Darcy and Lizzy take a walk and he proposes. Lady Catherine shows up to try and stop it, which doesn't happen and Mr. Bennett is somewhat dubious at first, but then Lizzy explains what Darcy had done to bring Lydia and Wickham together and assures her Dad that it's for love and he couldn't be happier about it. Overall: Once things kicked into high gear, this was actually a pretty enjoyable book. I'm pretty sure though that I could watch any number of cinematic or television adaptations to get pretty much everything that's in the book out onto the page. (And actually this makes me want to dig up the Keira Knightley version to do just that.) I would say **** out of ****. This earns it's status as a classic.